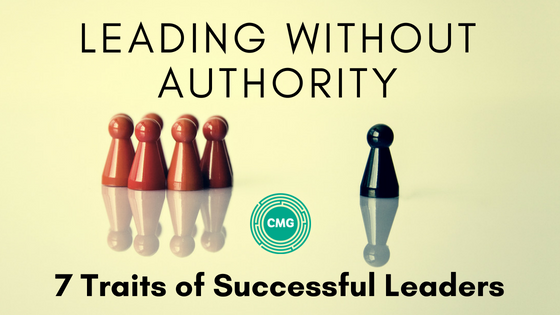 Leaders advance in their careers because they are leaders before being given the title. If you, no matter what your current title, can create a stellar reputation for yourself throughout your organisation, you will have an exciting future ahead of you. However, leadership is not a natural skill for everyone, you need to adapt yourself and become skilled in certain areas, but what are they?! Why would people listen to me if they don’t HAVE to? We’ve compiled a list of the key factors to successfully gaining commitment and buy-in from colleagues on the same level as you, and even from those in a more senior role. Be passionate about your ideas! How many times have you found yourself watching something that you have no knowledge about, but you kept watching simply because the people discussing it are so passionate about it! This is because passion is a quality people are attracted to. It creates positive energy that surrounds you, and when you show that passion about others it makes them feel good about themselves. People will gravitate toward you because of this. Accept that arrogance is unacceptable. If people don’t like you, people won’t help you! Maintain a confident and positive attitude, but be humbled by facts and skill. Until you accept responsibility for your actions or failures, it will be very difficult for you to develop self-respect or even have the respect of others. A responsible person makes mistakes, but when they do, they take responsibility and make it right. As a leader, if you already rank high in empathy, you gain a genuine professional advantage. If not, empathetic listening is a skill worth developing. Just remember empathy is not sympathy. Whereas sympathy is "feeling for someone," empathy is "feeling as someone." This one is huge. Remember, not everyone is a good communicator. Sometimes you have to be the one to draw the ideas/thoughts out of others. Although you might think this is a natural skill, it is something that you can develop if you ask yourself a set of questions when dealing with other people. We are all part of an emotional chain-reaction effect. As a leader without authority, you can influence and inspire your team by understanding that emotions drive performance. Worry, stress, and fear decrease physical and mental energy and impair mental agility. Positive emotions — optimism, enthusiasm, gratitude — increase energy, learning and motivation. Dispassionately choosing your moral framework sounds like an odd business success driver. Very few choose to go off the path to corruption or excess, it is usually an incremental slide. Making a stand early may save you, and others, a world of hurt and is a more sustainable life and business choice. Often it’s as simple as doing what you say you will do. Remember, there is no quick fix solution. Real leadership qualities are not something that can be shown in a day or a week and then abandoned, the key to gaining the same trust and respect of leaders in senior roles is consistency! If you get into the habits above and demonstrate them consistently, and people will start coming to you more and more. The value of your opinions and ideas will continue to rise, your leadership qualities will be undeniable. If you are looking to further your career and gain the key skills required, be sure to check out our suite of management courses, specifically designed to give you the practical day-to-day skills required to take your career to the next level.